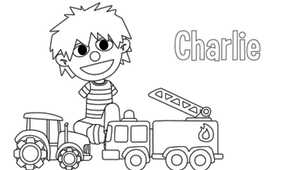 Charlie is also available on Mini TFO A section just for the kids, without ads! Click to explore! Charlie is a curious and affectionate little boy that loves to play games. He was born without arms and has learned to adapt to his daily life. His empathy and sensitivity make him a great companion that the hosts love spending time with! JOSÉE et CHARLIE sont à la ferme. Ils s'adressent au public de l'émission. de quel animal il s'agit! JOSÉE et CHARLIE visitent différents animaux de la ferme. Ils se retrouvent devant un enclos pour commencer le jeu. ha! As-tu deviné ce que c'est? Fais le cochon avec nous! On nous montre la vidéo d'un cochon dans l'herbe. Oh oui! Groin! Groin! Groin! Josée and Charlie play Guess the Animal Sound! 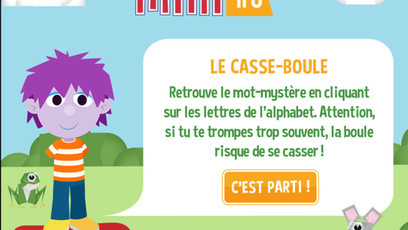 Charlie makes an animal noise, and Josée asks children at home to help her guess the animal. Charlie is sure making the most of his summer! Today, he is riding a tricyle. Charlie is sure making the most of his summer! 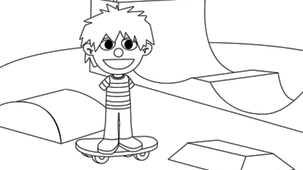 Today, he is riding a skateboard. Charlie studies and comments on several of the works displayed at the Art Gallery of Ontario. Charlie is sure making the most of his summer! Today, he is getting wet at the splash pad. 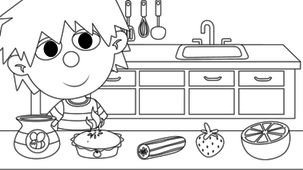 Charlie plays a game and has to rely on one of his senses. With a blindfold, he has to guess what he's smelling! Charlie is sure making the most of his summer! 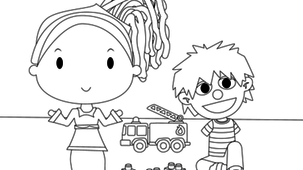 Today, he´s making a sand castle. Celebrities visit Charlie and teach him a new word! Charlie is sure making the most of his summer! Today, he is playing soccer. Charlie and his friends explore nature in a ravine. Here, they learn about the different kinds of trees. 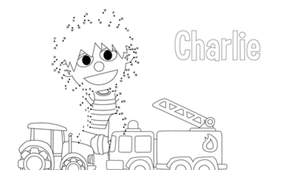 Charlie plays a game and has to rely on one of his senses. With a blindfold, he has to guess what he's touching!